The Dental College of Georgia has developed a variety of products to manage dry mouth. It’s called MIGHTEAFLOW and comes in the form of gum, lozenge, rinse, and spray. Clinical trials show an increase of salivary flow by up to 400 percent without side effects. Available in two local pharmacies (ADD Drugs and Hawthorne Drugs) or online at camellix.com, ebay.com, and amazon.com. Other products using the patented green tea technology include treatment for cold sores, and viral infection control. It’s very costly for older women to get relief from vaginal dryness. Drug companies have drastically increased prices in recent years for various estradiol creams, tablets or vaginal rings, and insurance companies often require high co-pays because they put the drugs on a higher formulary tier. And that’s despite the fact estradiol has been around for decades. However, there’s hope now that a couple of new generics for Vagifem tablets are available. Yuvafem by Amneal came on the market in 2016 and another generic by Teva became available last year. There’s also a new brand name drug, Imvexxy that’s available in a lower 4-microgram dose for women who are concerned about taking estrogen. Although experts point out that vaginal estradiol products do not significantly increase estrogen levels throughout the body. In addition, Imvexxy can be used any time of day and requires no applicator. The risk of obesity jumps almost 25 percent with each two-hour increase in daily television watching, according to the Harvard Health Letter. The critical test doctors never order. Doctors almost never screen for mobility problems and it’s a test that can mean the difference between living at home or in a facility. One geriatrician uses the “get up and go test.” Patients stand up from sitting, walk 10 feet, turn around, walk back and sit down. Ideally, people should walk faster than a yard a second. A slower pace could indicate a risk of falling. Over 800,000 people die in the US every year from a heart attack, and on average, 50 percent of them displayed, but ignored, the warning signs. The symptoms can be mild or come and go until, over time, the symptoms and pain increase and the victim collapses. Those signs and symptoms include: Feeling of fullness; Pain that travels down one or both arms; Jaw pain; Excessive fatigue; Anxiety; Nausea; Back pain; Shortness of breath; Chest pressure, squeezing, aching, or burning. Women can have different heart attack symptoms from men. Women’s arm or chest pain may appear on the right side; Women may feel completely exhausted, drained, dizzy or nauseous; Women may feel upper back pain that travels up into their jaw; Women may think their stomach pain is the flu, heartburn, or an ulcer. A new study by Canadian researchers finds that lifting lighter weights for more repetitions is just as effective as lifting heavy ones for fewer reps. The goal they say is that you do as many reps as it takes for your muscles to become too tired to lift any more. Weight lifting a couple times a week can reduce the risk of falls and bone fractures. Do you suffer from chronic inflammation? A simple blood test from your doctor may tell you. It measures a liver chemical, C-reactive protein (CRP), which rises in response to inflammation. Often a CRP level of 1 to 3 milligrams per liter (mg/L) signals a low, yet chronic degree of inflammation. Levels higher than 3 mg/L indicate a high risk of inflammation. CRP levels can also indicate whether there is heart disease. Adapt your home.Stairs, baths, and kitchens can present hazards for older people. Even if you don’t need to make changes now, do an annual safety review so you can make necessary updates if your needs change. 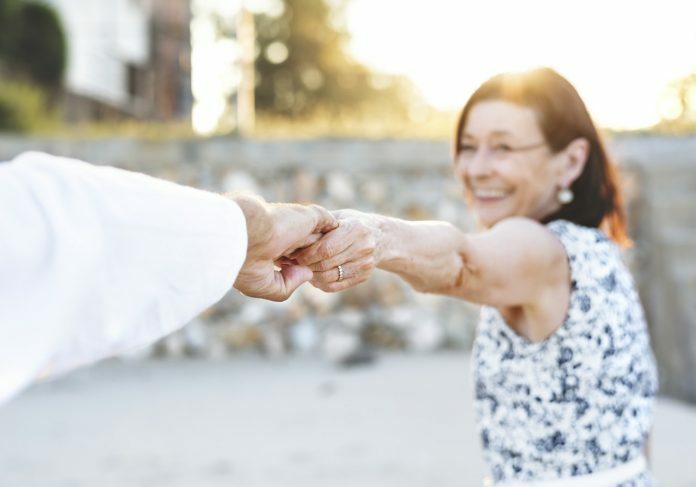 Prevent falls.Falls are a big deal for older people — they often result in fractures that can lead to disability, further health problems, or even death. Safety precautions are important, but so are exercises that can improve balance and strength. Consider your housing options.You might consider investigating naturally occurring retirement communities (NORCs). These neighborhoods and housing complexes aren’t developed specifically to serve seniors — and, in fact, tend to host a mix of ages — but because they have plenty of coordinated care and support available, they are senior-friendly. Think ahead about how to get the help you may need.Meal preparation, transportation, home repair, housecleaning, and help with financial tasks such as paying bills might be hired out if you can afford it, or shared among friends and family. Elder services offered in your community might be another option. Plan for emergencies.Who would you call in an emergency? Is there someone who can check in on you regularly? What would you do if you fell and couldn’t reach the phone? Keep emergency numbers near each phone or on speed dial. Carry a cellphone (preferably with large buttons and a bright screen), or consider investing in some type of personal alarm system. Write advance care directives.Advance care directives, such as a living will, durable power of attorney for health care, and health care proxy, allow you to explain the type of medical care you want if you’re too sick, confused, or injured to voice your wishes. Every adult should have these documents. There’s more in Living Better, Living Longer, a Special Health Report from Harvard Medical School. Find it and other reports at www.health.harvard.edu.